Mini Christmas designs would be perfect on an advent calendar or stitched alone on napkins, christmas ornaments, baby/children clothes, etc. 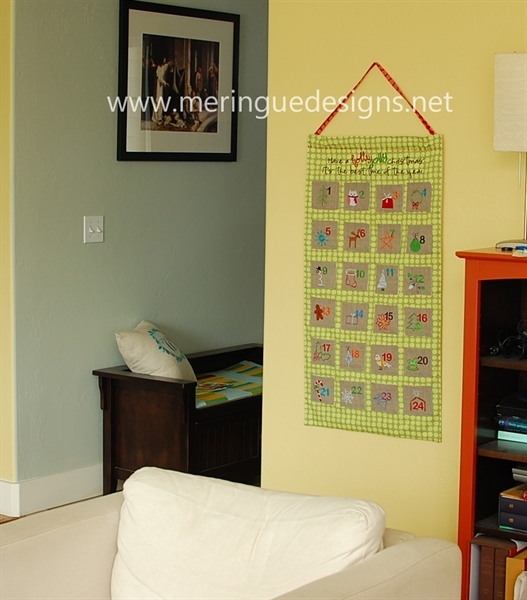 These simple designs stitch out in about 5 minutes or less ensuring that this is a quick project. 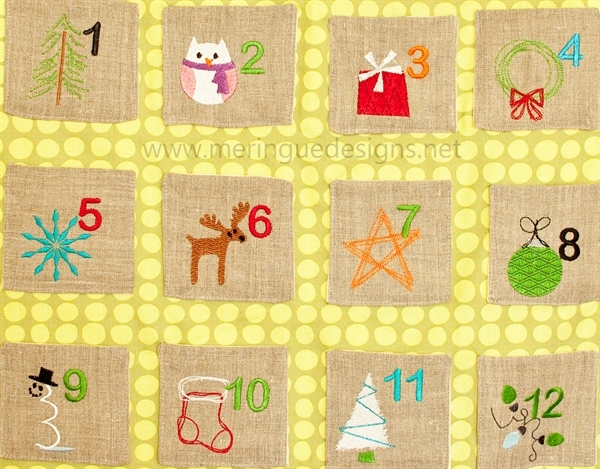 Sewing directions are included as well to make the advent calendar just like the one I have pictured here. 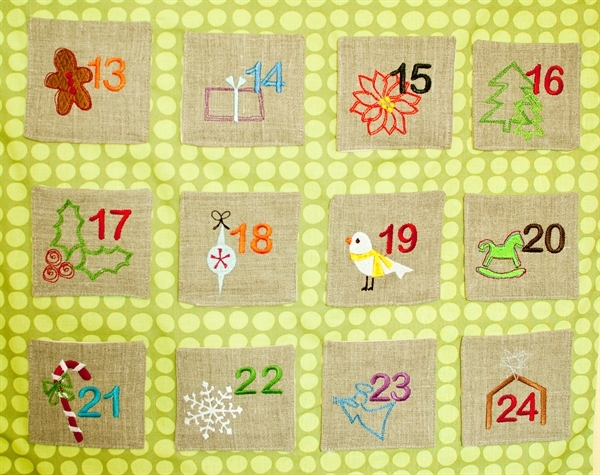 You will receive 51 designs in this pack. 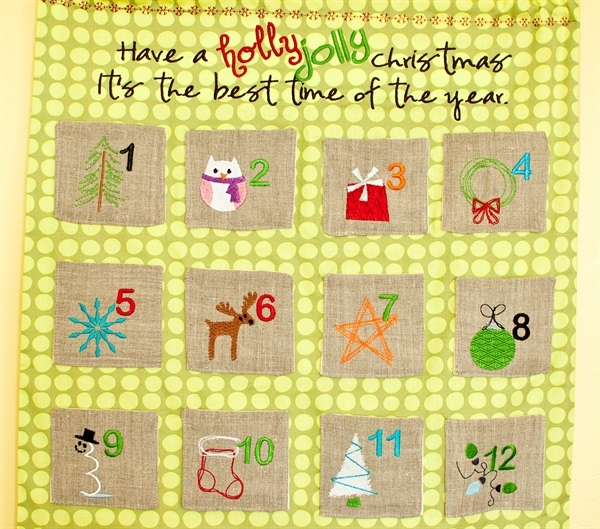 --24 mini designs with the numbers 3"x3"
--24 mini designs without the numbers 2"x2"
--holly jolly phrase comes in a 3"x15", 2"x10", and 2"x7"
Coming soon....most of these designs will be sold separately in a variety of sizes and with an applique option. 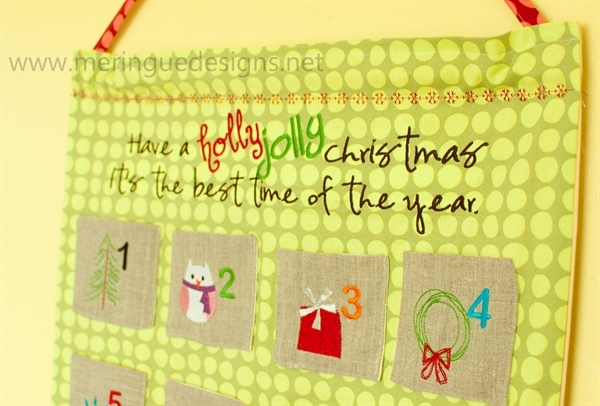 Check the "Seasonal & Holidays" section for individual designs.